A journey of a thousand miles starts with a single step, particularly if it’s straight up a mountain. 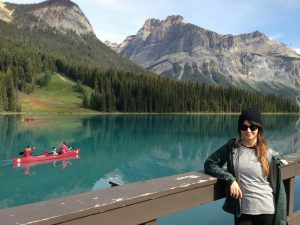 Few destination marketing organizations (DMOs) know this better than Destination British Columbia (DBC), and in particular, Leah Poulton, DBC’s Social Media Manager. 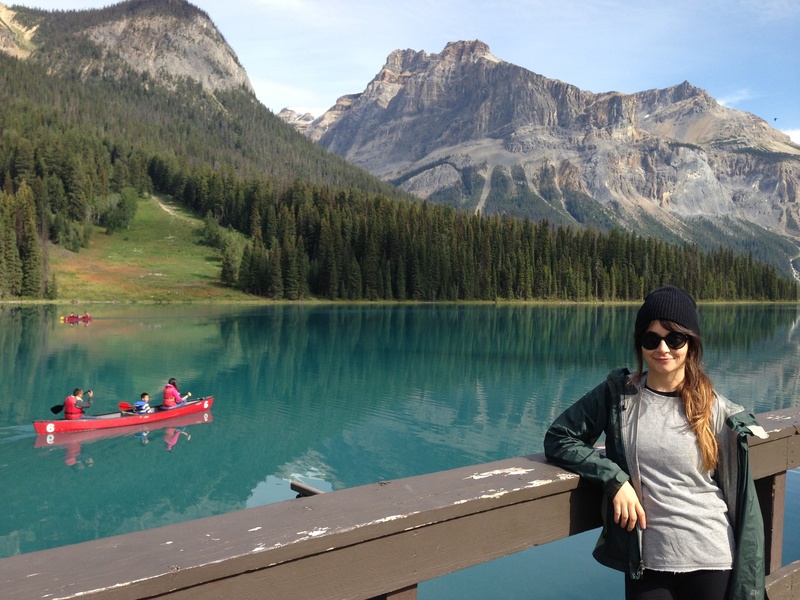 Since 2011, Leah has been the driving force behind the growth, development, and strategy of Destination British Columbia’s approach to social media. Poulton shares here how her team scaled a mountain of marketing via a campaign focused on one-to-one conversations. Taking place during summer 2014, Destination British Columbia’s hashtag campaign sought to encourage on-the-ground visitors in BC to share their vacation experiences by using the #exploreBC hashtag. Though most of the #exploreBC campaign took place via online outreach and active listening on Twitter and Instagram, the project also relied on on-site events, surprising visitors and potential visitors with small gifts, as well as industry participation. Destination BC chipped away at the mountain gradually in order to connect with consumers in all the places they were actually having conversations. As a result, the campaign encouraged 21,000+ people to talk about the destination 111,051 times, reaching more than 30 million others. But every DMO has to start their social media efforts somewhere. Poulton says that a few years ago, the social team at DBC was perched on the bottom rung of the organization’s marketing team, so they began to share news of their small wins in order to raise awareness of their efforts. Her team had decided to focus on what was most important: having conversations and putting social media at the core of their marketing. Their first big effort was a blogger campaign in 2011 powered by their Facebook fans, which launched DBC’s Facebook community and set the foundation for their approach, which was to focus on conversations while kick-starting #exploreBC as a hashtag on Twitter. DBC’s social media channels gained momentum and the team started an Instagram account, too – but there was a community of passionate BC locals who were already using #exploreBC as a hashtag. Instead of hijacking the community and creating a new branded hashtag campaign, DBC followed the community that already existed. They also integrated a weekly “Guestagrammer” into Instagram that showcased passionate advocates’ photos of BC. The social media team used a different tactic in San Francisco Airport. For a few weeks in the summer, they enacted a surprise and reward campaign , wherein the online team simply struck up conversations with bored US travelers waiting in the #exploreBC-branded departure lounge. Poulton’s team bought those travelers a coffee, a massage or a lunch at a local airport business. “If you do it right, people are genuinely interested in talking to you,” says Poulton. After those smaller steps, and more than 100K photos tagged with #exploreBC, the rest of the Destination BC organization started to pay attention. For destination marketers, says Poulton, being able to see an impact on someone’s trip is pure “gold.” But that doesn’t mean you should ignore locals or visitors. Prioritize both advocates and influencers, because regular visitors can have a huge, influential impact. Be sure to also support the campaign across traditional media, too. DBC supported the #exploreBC campaign with traditional outdoor materials and offline experiences: they distributed flyer cards to all the BC Visitor Centres, hosted in-person Instagram meets, displayed posters in Vancouver’s airport and train stations, and wrapped the local harbour ferries with the hashtag. Don’t forget to educate your industry about your efforts. DBC gave its tourism businesses offline collateral with information on the #exploreBC hashtag, which they could offer to their guests. Sadly, she says, not that many businesses took them up on the offer. What did Poulton’s team learn from that? Give businesses time, advance notice and some more education around this sort of campaign. Also consider getting a core group of savvy businesses on board and have them lead by example. What’s interesting about the campaign is that none of the individual conversations, said Poulton, were particularly remarkable on their own. But together, they added up to something truly incredible. The campaign wasn’t just about tacking a hashtag onto a marketing campaign, it was about conversations – the hashtag was just the means that DBC could use to track the success and demonstrate the wins to the rest of the organization. The result? 111 million+ impressions. « What does an Instagram algorithm mean for marketers? BC definitely does outdoor tourism well. That being said, BC probably has the best natural beauty out of all provinces so it’s already an advantage.